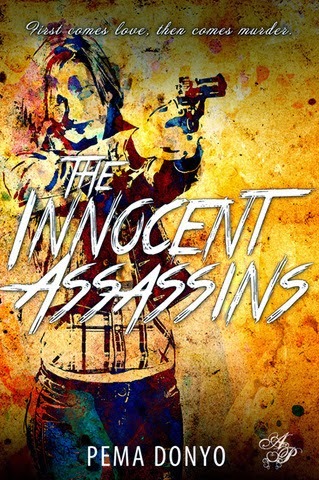 There are three rules to staying an assassin at Covert Operatives: one, your parents must be deceased, two, your murder contracts must remain confidential, and three, you must be under the age of eighteen. Jane Lu and her best friend Adrian King were taken in by Covert Operatives aka CO from the foster care system when they were just 5 years old. CO provided Jane, Adrian, and many other kids with food, clothes, shelter and education, and taught them how to 'defeat bad people'. Now almost 18, Jane and Adrian have become more than just best friends.....if you get me *cough*boyfriend and girlfriend*cough*.....and they have been assassins at Covert Operatives for many years, but while most of her fellow class want to stay with CO after they cease their assassin contract, including Adrian, Jane just wants a normal life, where she can live in peace without all the killing. Then on one of her last missions, she gets caught by the CIA, and instead of locking her up, they give her a proposition. Spy on CO for a year and report back to the CIA, and then she'll be free to have the life she always wanted (I kinda doubt the CIA would be so nice, but still.....no offence CIA peeps XD). Only problem, the CIA want her to spy on Adrian King for rumours that he'll be the next CEO of Covert Operatives. I found this story really intriguing! It was pretty complex and it kind of reminded me of the movie Wanted in some ways. I love that Jane is asian :) Diverse books anyone? *beams* She's pretty and smart, and I'm happy that she stands up to Adrian when he tries to tell her what to do. She's a no nonsense character with a lot of heart who has to deal with situations none of us ever have to, and considering all that I think she handles it pretty well. "ʺI need you to know now—whatever happens in the future, I love you.ʺ I murmured the words into his ear, my voice barely above a whisper. Visions of a future without him flashed before my eyes. The feel of him against me was hypnotizing, and I clung to his hair tighter in order to shoo away the daunting thoughts of what lay before us. ʺWhatever I do, whatever you think I've done – I love you.ʺ"
The biggest problem for me is I feel that the side characters should've been more developed. I think Tristan's character was done well, but I couldn't really connect to Lucy other than the fact that she seemed like a pretty nice and loyal friend, and don't get me started on Emma. Urghh. First she's all supportive and BFFs with Jane, even doing the whole eat-icecream-and-watch-sad-movies-together thang and telling her to sort things out with Adrian, and then she goes all jealous and snarky because she decides that she's going to try make a grab for Adrian.....and wait a sec......what kind of best friend does that?? *raises eyebrows and shoots glare* I mean come ooonnn, Emma was jealous enough of Jane and Adrian's relationship to be bitter when Jane got back to CO alive! As in, like, she'd prefer her dead and out of the picture? o.O And yet in the end she didn't betray Jane when she found out about Jane spying for the CIA! Emma's character was just all over the place, and I couldn't understand her at all.